Two years ago Microsoft skipped Windows 9 and released their latest and last version of Windows, Windows 10. From here on the plan is to not have any more releases of versions of windows but to rather have regular updates to the Operating System. Microsoft also offered the upgrade to Windows 10 for free as an update for the first 12 months after release which is valid for the life of the device it was installed on. It now costs €135 for the home and €279 for the Professional versions. It has been widely adopted and most enterprises have either already moved or are in the process. So the thing at this point is to get familiar with it because it is here to stay. Feedback for the new operating system has so far been good. 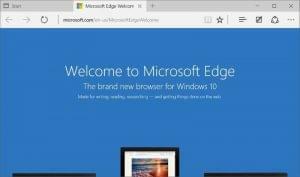 The familiar feel of the Operating System, the return of the start menu and the many useful new features. Experts agree that its the best operating system since windows 7. 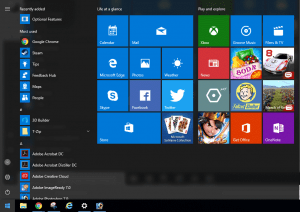 So what makes Windows 10 different from its predecessors? Westbourne decided to take a look at 10 of its newest features. 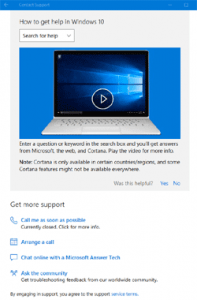 This list isn’t conclusive but will give you a good idea of what windows 10 has to offer. Everything as a Service seems to be the new buzz phrase in the technology world. Software as a Service, Infrastructure as a service etc. Microsoft has introduced Windows as a Service with Windows 10 with the view that this will be the last version of windows and any future upgrades will now come in the form of updates. From here on, alongside the normal monthly and cumulative quality and security updates there will be feature updates (which really means upgrades) two to three times a year. These features will include the ongoing improvements and modifications to the operating system instead of holding them until the next version release. This has caused some apprehension to IT Professionals as you have the option to defer the update but you cannot refuse it. 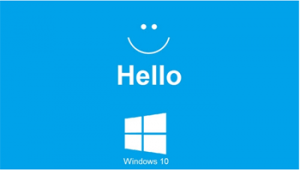 Windows Hello is Windows 10’s new Biometric security system which logs you into your device using facial recognition, iris or fingerprints. Facial recognition requires Intel Real Sense Depth Cameras which senses depth much like the human eye. It cannot be deceived by someone holding a picture of you. Older machines will not have this capability but we should see it in the newer devices and phones. 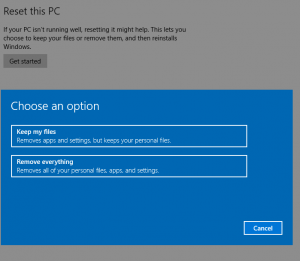 Microsoft introduced Windows settings back in windows 8. 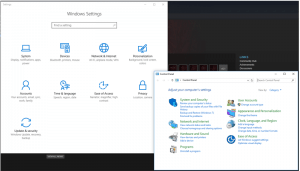 In Windows 10 it has taken over more of the settings that used to be in control panel leaving the more complex configuration options where they were. Don’t worry you can still access the old control panel by right clicking on the windows start button to access quick links. 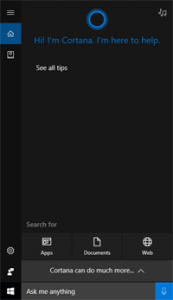 If you’re not sure where a setting is, you can just use the search option. 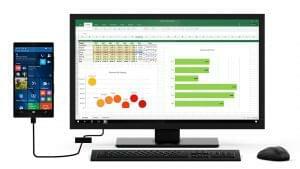 Windows Continuum allows you to use your phone like a PC. Just connect a monitor, keyboard and mouse, or wirelessly power a second screen. 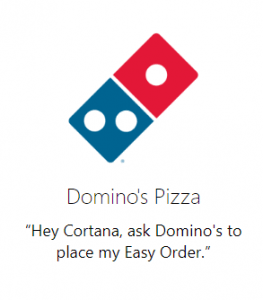 Microsoft Cortana is designed to be your artificially intelligent personal digital assistant. It evolves over time as it gets to know your habits. You can use it for simple tasks such as reminders and task lists to placing a pizza order or booking you a table at your favourite restaurant. The start menuis back. Microsoft listened to its customer’s complaints and confusion with the start screen in windows 8 and brought back the start menu which is much improved over the windows 7 version. It lists your programs on the left alphabetically, with recently added and most used application menus also for quick finding. It also has the tile options for your touch screen devices. You can now rollback after a failed reset following the anniversary feature update. It does not require a separate recovery image, which saves on space. You cannot refresh or reset from bootable media, you must do a bare metal recovery. It will recover to an updated state. Saving you the bother of having to look for drivers or performing updates post recovery. It has improved reliability by scanning system files and repairing them prior to performing the restore. Windows now allows you to have unlimited multiple desktops open at the same time. Uses range from just wanting to keep personal items separate from work items to using a seperate desktop to work on a specific project. Even though Linux and Apple have had this feature for some time and prior to windows 10 you could use a third party application for this task. It is now built into Windows 10. 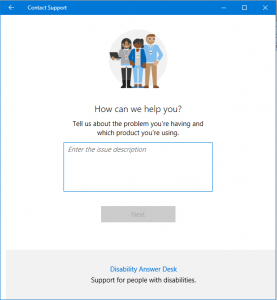 Only to be used as a last resort as it is pricey but Microsoft has included a support app where you can chat with a Microsoft technician or schedule a call with them. Again, this is by no means a comprehensive list. New features that we didn’t discuss include their Phone Companion, Snap Assist, DPI Scaling, Storage Management and Direct X 12. All in all, the overall feel is that this is a great operating system and is set to only get better. Westbourne will be discussing what is involved in Deploying Windows 10 in an enterprise environment in our next blog.